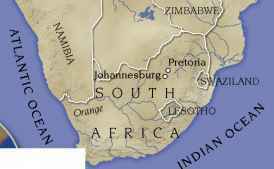 Africa's most ancient dinosaurs are found in the south of the continent. 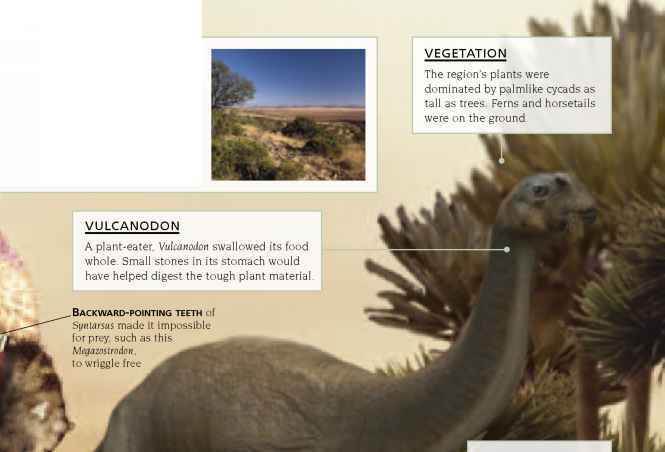 Here, in the Early Jurassic, about 200 million years ago, herds of tiny Lesothosaurus lived alongside the first of the giant plant-eaters, such as Massospondylus and Vulcanodon. This warm and dry region was also home to small lizards and early mammals, and hunting them was the carnivore Syntarsus— a fierce predator of this semidesert environment. 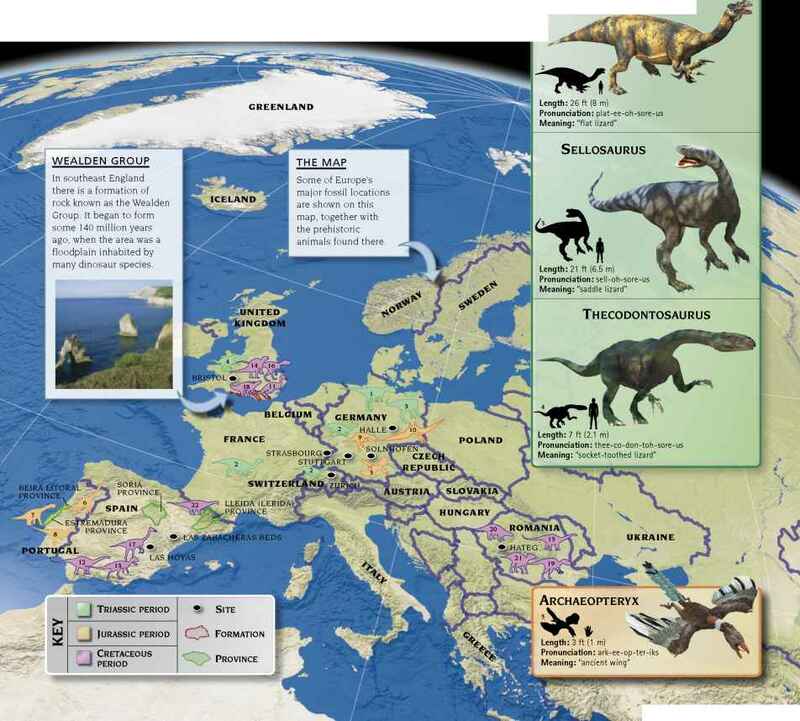 Dinosaurs of southern Africa have been found in several countries, including South Africa, Zimbabwe, and Namibia. 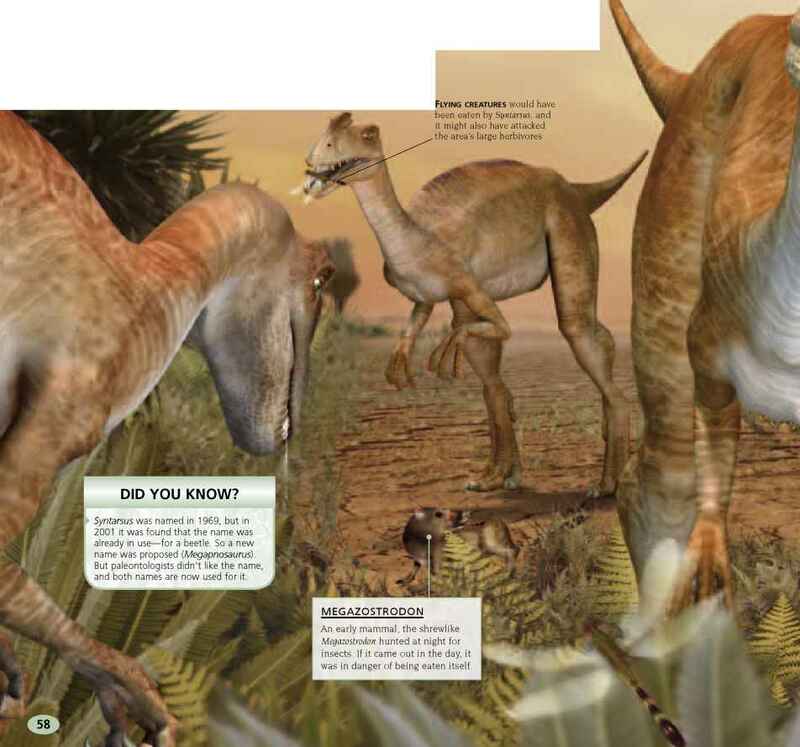 This dinosaur was one of the first Jurassic carnivores. A fast-moving hunter, it had sharp, biting teeth, and long fingers to grip prey. The Southern Plateau dominates the region. This is a vast area of flat, high ground, 3,000-5,000 ft (900-1,500 m) above sea level, which gradually falls away to a lowland coastal zone. There are a variety of climates, from tropical wet and dry, to arid or semiarid, and even desert. This dinosaur may have used its hands for holding food and for walking. In hot weather, Lesothosaurus may have kept cool by going underground. The evidence comes from fossils found in a burrow. The agile Heterodontosaurus had three different types of teeth for biting, grinding, and tearing food.